I live in Raunds, shop in Raunds and enjoy the many local events that Raunds has to offer. 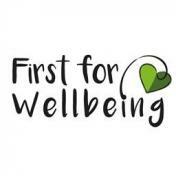 As well as being a Town Councillor I am a member of East Northamptonshire Council and Cabinet Member for Public Health and Wellbeing and Chairman of the County Health and Wellbeing Board at the County Council. I am currently Chair of the Personnel Committee for Raunds Town Council. Cllr Slyvia Hughes register of interests.